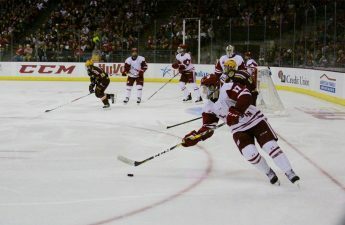 The University of Wisconsin men’s hockey team will take on No. 15 Ohio State in the final series of regular season this weekend. 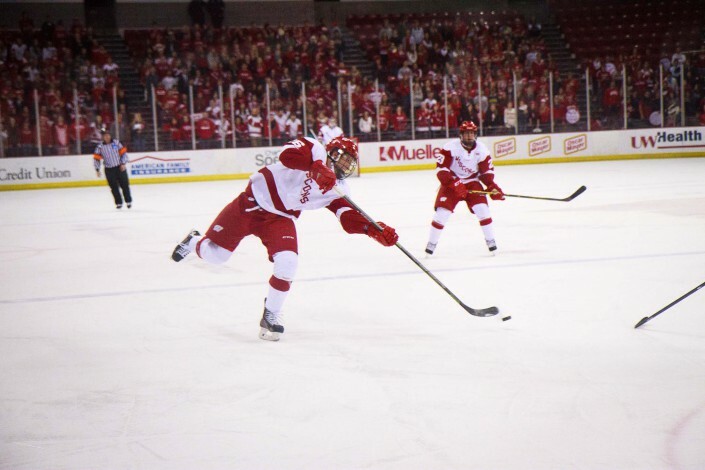 The Badgers swept the Buckeyes in their first face-off this season, granting hope to secure a first-round bye in the Big Ten Tournament playoffs, improving prospect of NCAA Championship selection. Wisconsin (9-12-1, 12-6-0 Big Ten) is second in the Big Ten coming into the final chapter of the regular season, even after splitting a win and a loss with No. 11 Penn State last weekend. 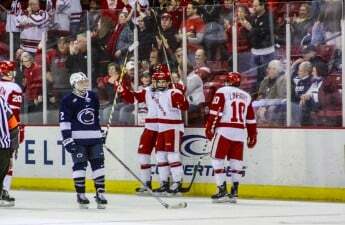 Though Wisconsin’s three core offensive players, sophomore Luke Kunin, freshman Trent Frederic and junior Cameron Hughes had scoreless games against the Penn State Nittany Lions, UW head coach Tony Granato has faith that the team’s leading scorers will prevail in the upcoming OSU games. The last time Wisconsin took the ice with OSU (18-10-6, 9-8-1 Big Ten) the Badgers swept with a 3-1 victory in Columbus and a 3-2 win in overtime in New York. 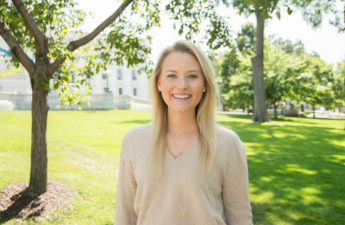 At the Super Saturday game in January, the Badgers played a strong defensive game, but the Buckeyes were able to surpass the goaltenders, making two pivotal plays at the end of the third period and bringing the clock into overtime. Going into the OSU duals this weekend an unyielding defense will be an integral component of the Badgers’ strategy to combat the Buckeyes’ highly capable offense. As a forward, Kunin is a top point-producer, as well as blocker. Though the rankings for the Wisconsin-Ohio matchup have changed since their first encounter this season, both teams remain resolute in playing in the 2017 NCAA Championship. The puck will drop under the lights of the Kohl Center at 7 p.m. both Friday and Saturday. Senior Night, as well as a 40th anniversary celebration for the 1977 NCAA Championship team, will be held Saturday. 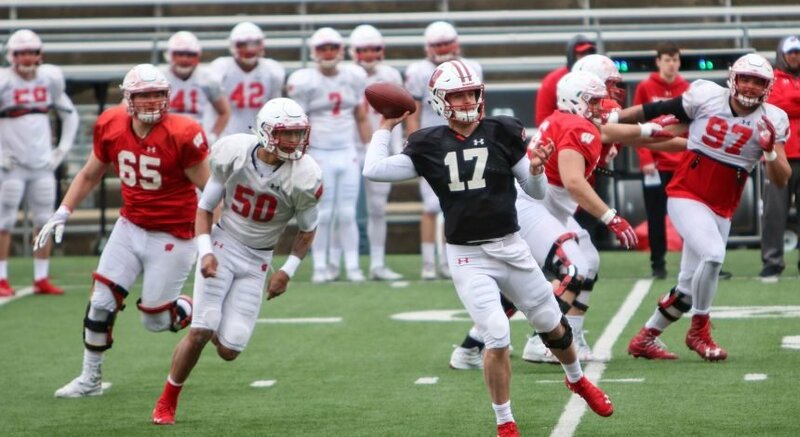 The Wisconsin Channel will televise the game Friday, and it will be featured on the Big Ten Network Saturday.